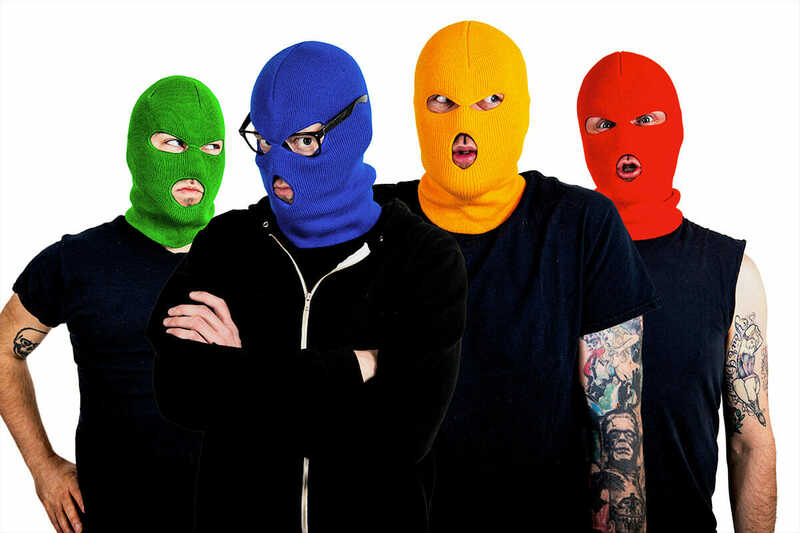 By now you know the colorful backstory behind the ski-mask clad, punk rock felons in Masked Intruder. They met in prison, are constantly being thwarted by their court-appointed chaperone Officer Bradford and got really, really hot playing in those masks on last year’s Warped Tour. 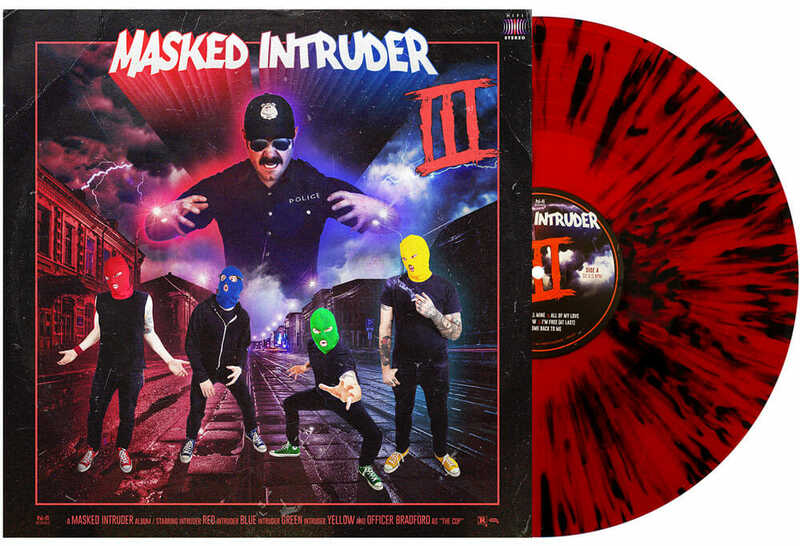 What you may not realize is the scope of their musical tastes and abilities, facts that are undeniable when it comes to their third full-length, Masked Intruder III. While the Ramones remain to be a touchstone for the band, this album sees them implementing elements of classic American pop, Doo-wop and rock with sonic hooks so sharp it’s a wonder that Officer Bradford hasn’t confiscated them as lethal weapons. Correspondingly, like the eighties VHS movies that inspired Masked Intruder III‘s album art, there’s something both nostalgic and action-packed about this collection of songs, from the fuzzed-out pop perfection of “Mine All Mine” to the arena-rock riffing on “Please Come Back To Me” and Thin Lizzy-meets-Weezer grandiosity of “Stay With Me Tonight.” “A lot of these songs sound like they come from some other era of pop rock to me, which is what I like about writing music,” Blue explains. “I enjoy trying to come up with stuff that sounds like a classic.” While he admits that the level of musical diversity on the album is more evident than on 2014’s M.I., it’s a welcomed shift that shows the musical depth the four of them have developed as they’ve criss-crossed the country and honed the skills they needed in order to craft these timeless tunes. Lyrically, Masked Intruder III is mainly about love or robbing banks – and in the case of “Just So You Know” it’s about both. However at their core, these songs are about are the universal need for human connection as experienced through love, heartbreak and an uncomfortable level of creepiness when it comes to personal boundaries (which is also a hallmark of many traditional love songs). 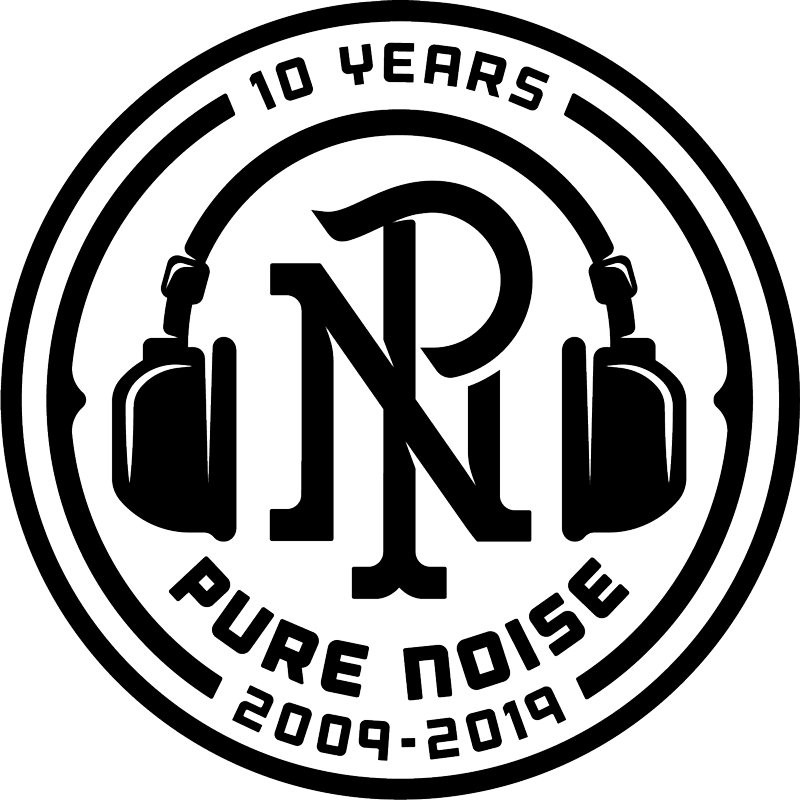 The album kicks off with the band trying to beat rap on the upbeat, down-picked opener “No Case” and like the aforementioned movies that it was inspired by, Masked Intruder III ends on cliffhanger as the band are once again being taken back into custody. Will they escape? Will they ever find love? Do they ever wash those ski masks? The album leaves us with more questions than answers. When it comes to Masked Intruder, it’s easy to let their unique backstory overshadow the music but Masked Intruder III proves that their songwriting chops are the real talking point when it comes to the band. “Our songs aren’t just about the feelings and situations that they describe but they’re supposed to hopefully help other people think about and reflect about their own situations,” Blue summarizes. 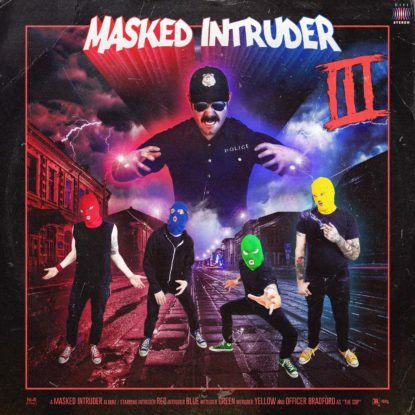 Whether it comes to stealing hearts or wallets, Masked Intruder have upped their game on Masked Intruder III and it seems as if even Officer Bradford can’t hold them back, although we’re sure he’ll try. 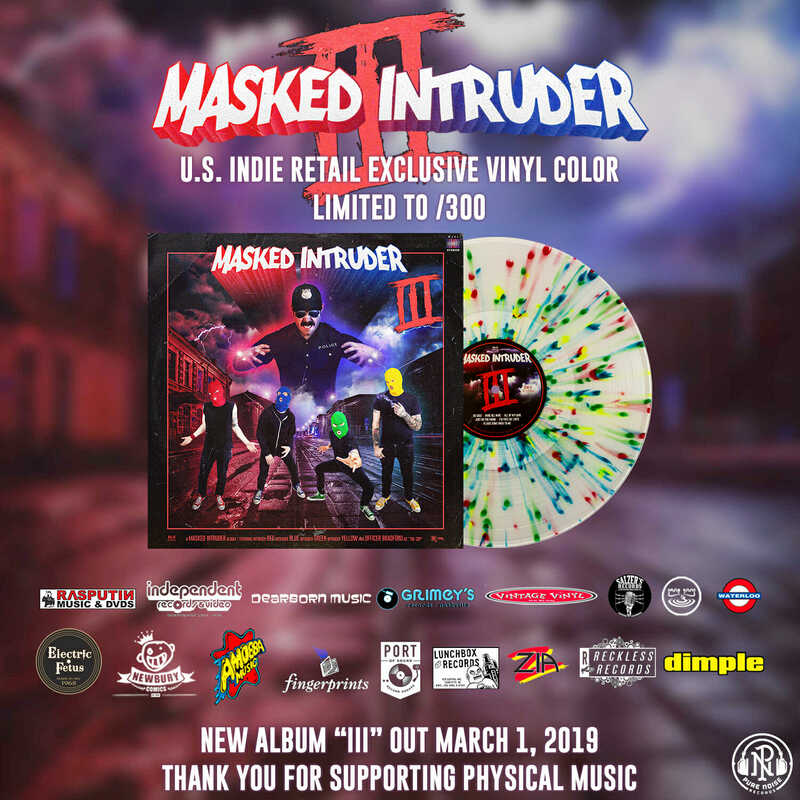 Masked Intruder’s new album III is out this Friday, March 1st, 2019. Check out the l.